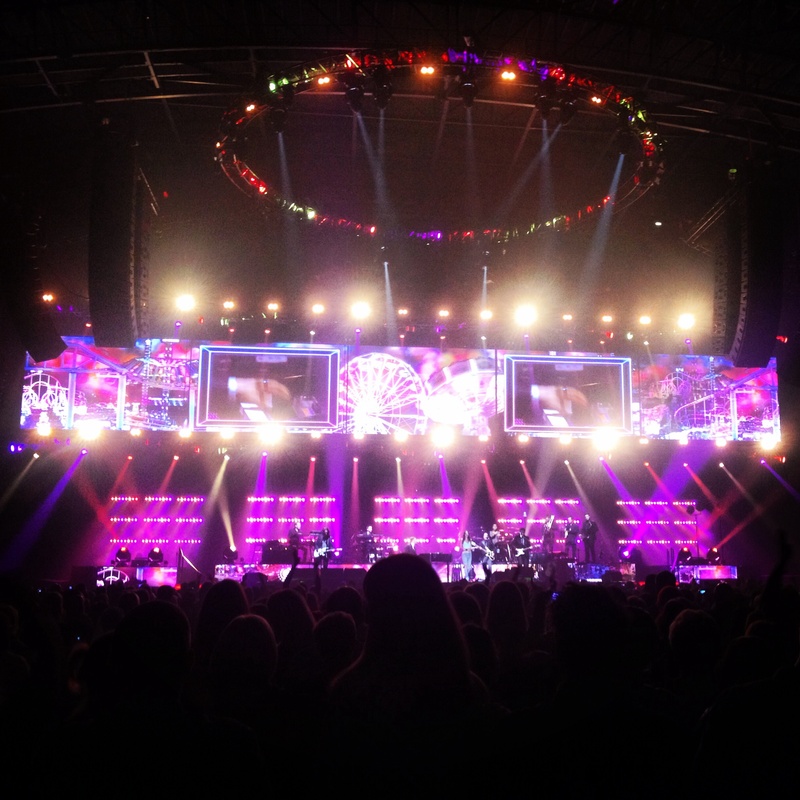 For more information check out our Metro Radio Arena, Newcastle: FAQs below! If there are any questions we haven’t covered, please leave a question in the comments section. 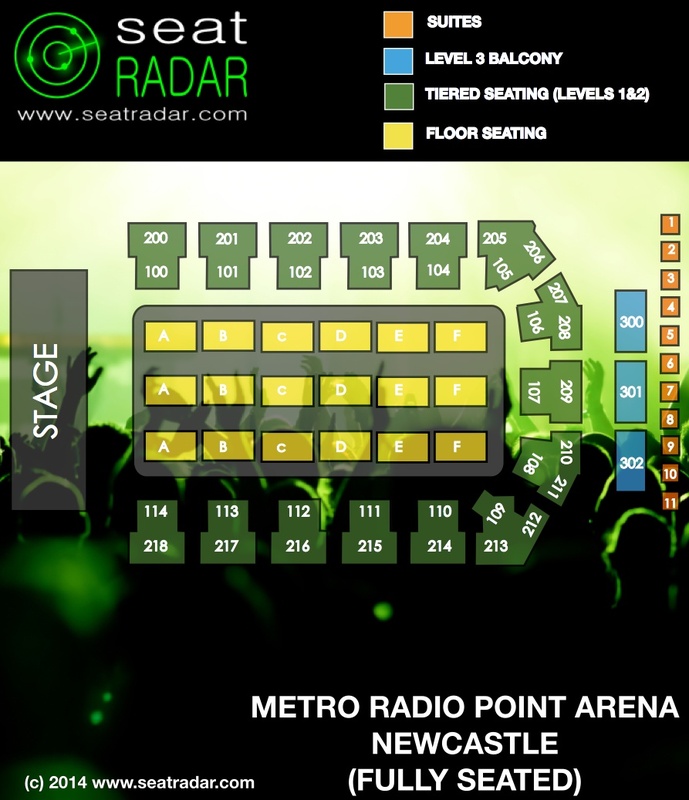 See the layouts for the Metro Radio Arena Seating Plan in our gallery below. (Click on images to enlarge). 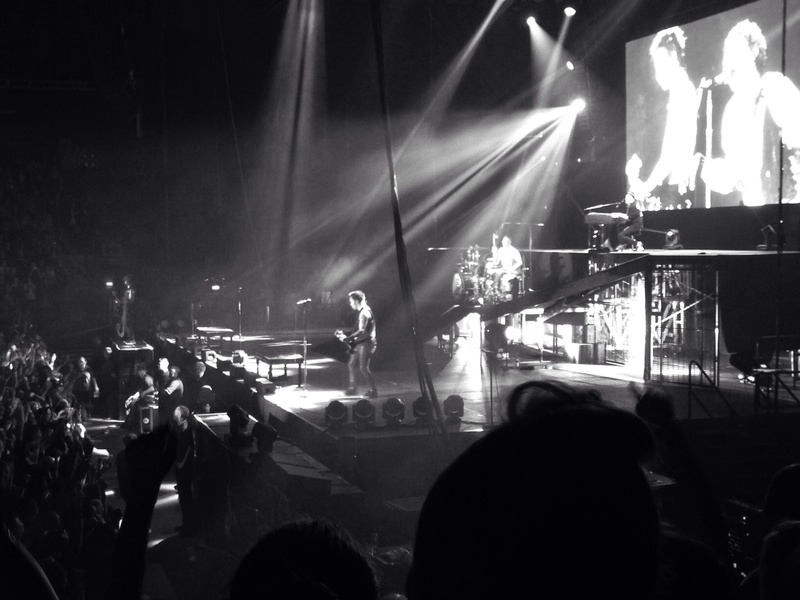 What are the best seats at the Metro Radio Arena? 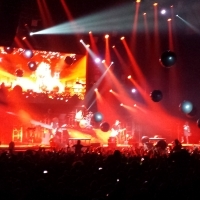 What is the view like from Block [...] of the Metro Radio Arena? Are these good seats? 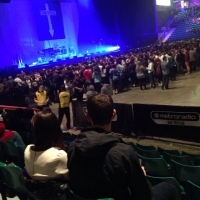 Have a question about the Metro Radio Arena? Leave a comment below and we’ll do our best to help! Hi I’ve just booked tickets for Peter Kay. Block a row a. Have I been lucky and got front row seats? Hi, I’ve just booked tickets to see Peter Kay & it says row BK B?? Where is this please? I have noticed it has been asked before by other people but admin have never replied to these particular row questions?? Have tickets for Ed Sheeran in April at metro radio arena. I’m worried about the view from the seat, the tickets say possible restricted view. I’m in block 218 row u seats 440-443 does anyone know how restricted the view may be. Would really appreciate any help anyone can offer. Hi I got tickets for Cirque Du Soleil on Feb 2017, the seats I got were BK 109, row D, seats 293-291. Are these any good? Thanks! Got tickets realised its block 218 labelled restricted view…..row q any ideas why? Hi, I think it’s the angle only. You will be at a 90 deg angle to stage. Great view still! Anyway I think his stage will come out to the crowd as a T. So even better! I’m going to see WWE, if the wrestling ring is in the middle of the Metro Radio arena, would section BK B be an ok seating/standing to view the wrestlers? I would appreciate a reply, thanks! I’ve got tickets for WWE at Newcastle, block A row E, seats 67 and 68 I have no way of knowing exactly where this is is as there are lots of block As dotted around the ring?? I’ve just bought tickets for the wwe event, BK A, row B….are they good seats? Did you find out as I have a similar question, I’m BK B?! Looking to purchase tickets for block AA for One direction. hi i ‘ ve bought 2 tickets for me and MY daughter for the one direction on october 25th. bloCK AA roW E. do t HEY HATE limited visibility?? we ‘ re coming from italy!!!!!! grazie!!!!! Bought tickets to see one direction 27th oct @ newcastle block c , row d, seats 17 & 18 are these good seats? Im also taking my 7yr old neice apart from the obvious problem of people standing in front of her, what will her view be like? Thanks! Hi,my mum booked tickets for one direction in October and I’m in bk F row h and I’m worried I won’t see anything,also I’m quiet small,will I be able to see one direction at all? 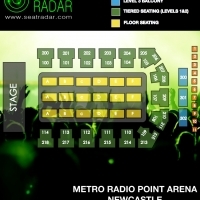 And I’m also going to the Newcastle upon Tyne arena, so one last question is there a catwalk there? Hi, I’m going to the One Direction show on the 26th and I’m not even from the UK so I was wondering if you could help me? I’m on block D, row E, seats 14-15. Is this relatively close to their catwalk? Thank you for your help. Hey Ana! Yes, the B-stage at the end of the catwalk will only be a few rows in front of you! Have a great time! Hi I have tickets to see one direction on the 26th of October block a row l. I was wondering will I be facing the main stage or the catwalk and how far will I be?? I’ve booked tickets to see One Direction Block AA ROW G seats 39 40 and 41 will we get a good view. Hi admin, i’ve just booked tickets for a concert later this year. Could you please tell me if Tier one, block 102, row E, SEATS 67/68. Are good seats ? Hi, i have just received my tickets for 5Sos i was just wondering if B114 Row c S429/430 are good seats, my daughter is very excited so it would be nice to be close. Hi we are seeing sat olly murs sat 18th April, it says bk a row d seats 44/48 where is this? What does bk a mean? I’ve got seats for one direction in block 106 row C seats 175 ,176 will I have a good view of the main stage and catwalk ? Hi Anna, Block 106 is towards the back of the arena so you will be at some distance from the main stage but will still have a good overall view from there. Ive always been in block A&B at the arena so not sure what its like high up! 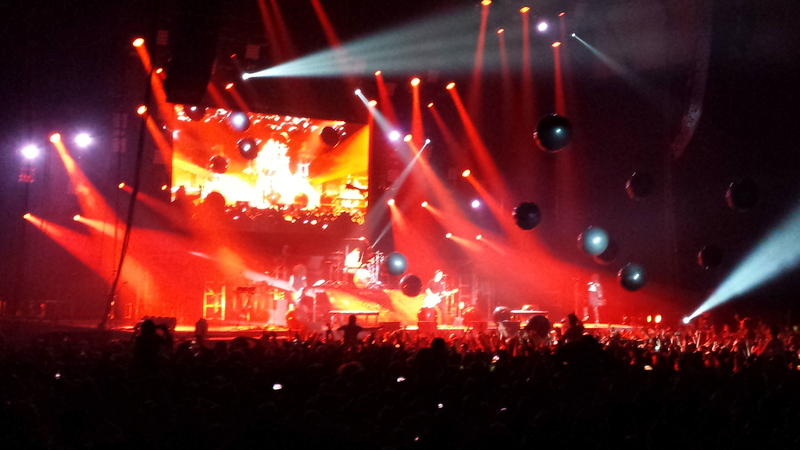 Hi Rebecca – truthfully they will feel pretty far away from the stage and they are high up. It’s not where we’d choose to sit given the option but we’re sure that’s not news to you! At the end of the day, at least you have tickets and most people up there still get up and dance so provided you’re up for that you’ll still have a good night! Also.. If tickets were won how would I know? Hi Rach – really sorry but this isn’t something we’ve come across before – did you find an answer? Hi Gerald – no direct experience of this but certainly never heard of this being an issue. It would be great if you could come back with a photo for the gallery after the show? Have a great time, it’s a fun show. Show was great. The disabled bay is actually a little bit of an obstruction, as persons in wheelchairs are sitting at the same level a meter or so in front of you. 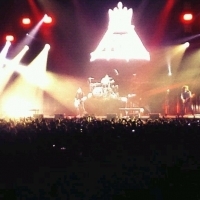 I still had quite a good view, but for the price I paid (bought the most expensive tickets), I expected NOTHING in front of me! At one point we also had camera persons and photographers running around just in front of us which I also thought was not fair! The show was great and so was the venue. Plenty of stalls for merchandise, food and drinks before the show (however all closed after the show). 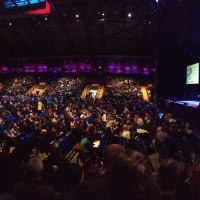 I’ve got two tickets for top gear live, block 217, row s, seats 417 and 418.. what sort of view will we get of the show? I have booked tickets for sclub7 ourseats are BK C row K 26-27, where about are they and what’s the view like? Hi Lynne they are pretty much exactly in the centre of the flooring area i.e. halfway back and halfway across. The gallery has a photo from Block C Row H – you’ll be there just two rows further back so take a look to get a sense of the view. Hello we have seats for one direction in October 2015…We have seats row please seats 43 and 44 block D. What are these seats like and are they near the catwalk? Hey Amanda – the catwalk is pretty much exactly level with Block 112 i.e. the middle/back of Block C and the very front of Block D. So you’ll be about 10/15 rows back from the catwalk which isn’t too far. Your seats are towards the left hand side (as you face the stage) of the floor area but fairly central. 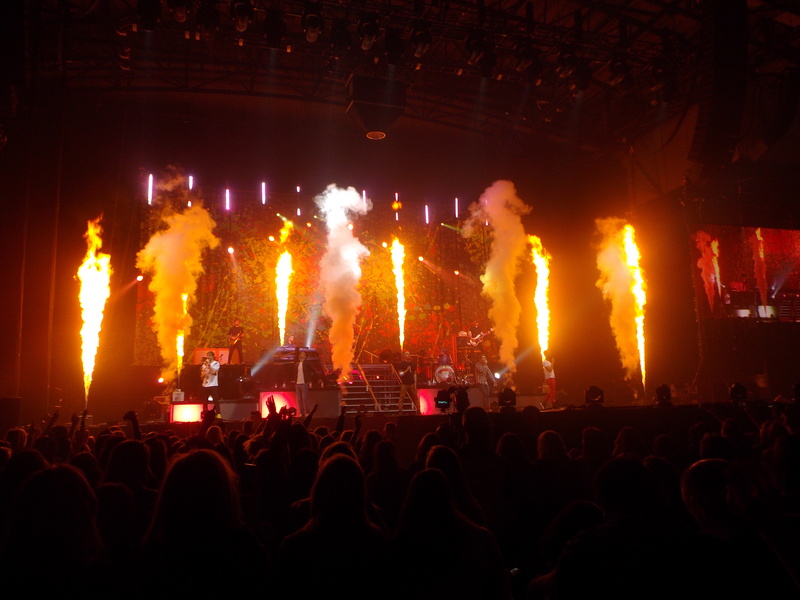 In an ideal world you’d be a bit further forward for the main stage but people have said they still enjoyed the show even from the back blocks and there are big screens so overall think your seats will be decent enough. Have a great time and please do come back to upload a photo! Thank u! What about for small children? I’m taking my 7 year old niece and best friend is taking her 8 year old sister so what would that seating be like for them? Hi Amanda – you’re welcome. There shouldn’t be any major problem save that since they are floor seats they are not tiered. 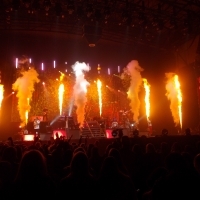 As a result assuming many people will stand up in front of you, taller people in their line of sight may interfere with their view a little but the stage is raised and there are big screens so they should be ok overall. Would be great to hear back from you after the show (and to have a photo from you!) as we’re sure many people in similar positions i.e. with nieces/kids etc would love to know how it is from those seats from a fellow fan. Hi we have tickets for 1d on 25th October we are block 216 row m seats 392, 393 and 394, could you tell me what the view is like please. 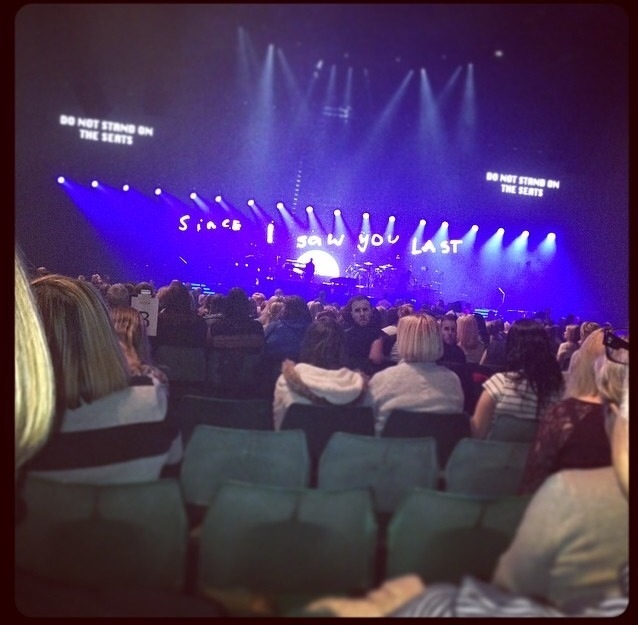 Hi Nicola – you’ll be on the side nearest Block 217 so that’s a great position, quite near the stage. You’ll be in second row of upper tier so no issues regarding height either. Overall good seats, have a great time and please remember to upload a photo after the show! 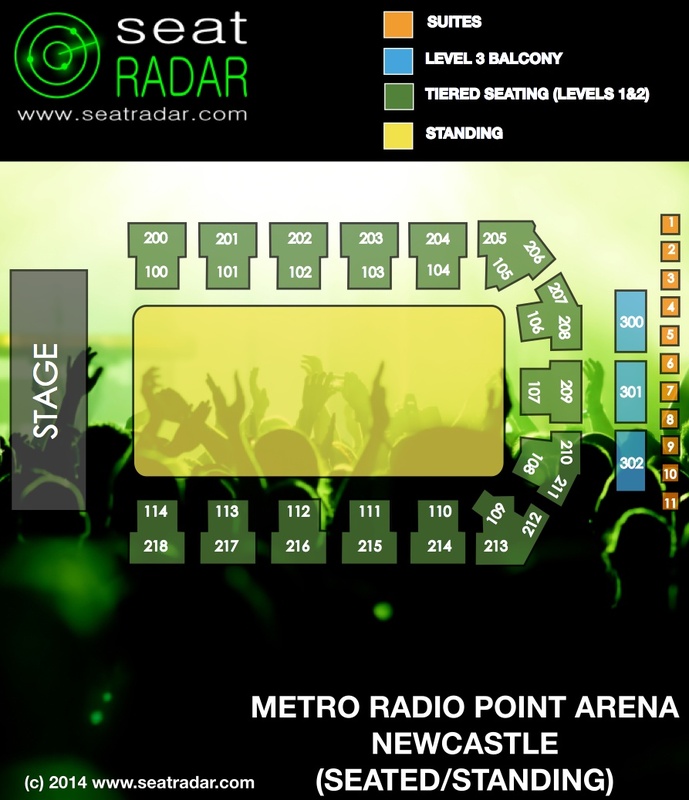 Next year for one direction I have got block A, row J seats 39-41 could you tell me if I am going to be near the catwalk? 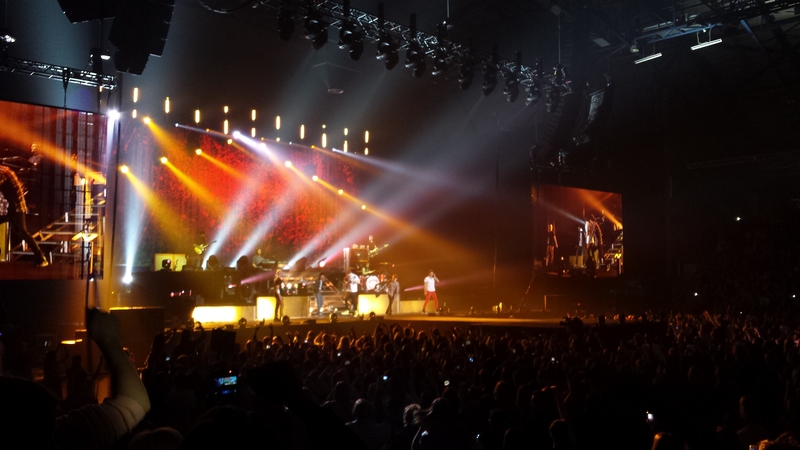 Hi Nicola – have a look at the photo in our gallery from Block 113 Row G Seat 405. Block 114 is to the left of that and starts at about seat 417 (seat numbers increase towards the stage). As you can see, if you were in seat 417 that would only be 12 seats left of the position in the photo and not a restricted view at all. If your seat number is lower than 425 you should be totally fine. It’s probably still not a cause for concern unless you’re in the last few seats e.g. 439 and higher in which case you’ll be very side-on and may find that you can’t easily see any screens at the back of the stage and you may find yourself having to turn to see the screen nearest you (to your left hand side). Hey Nicola – no don’t panic, it still won’t be that bad. 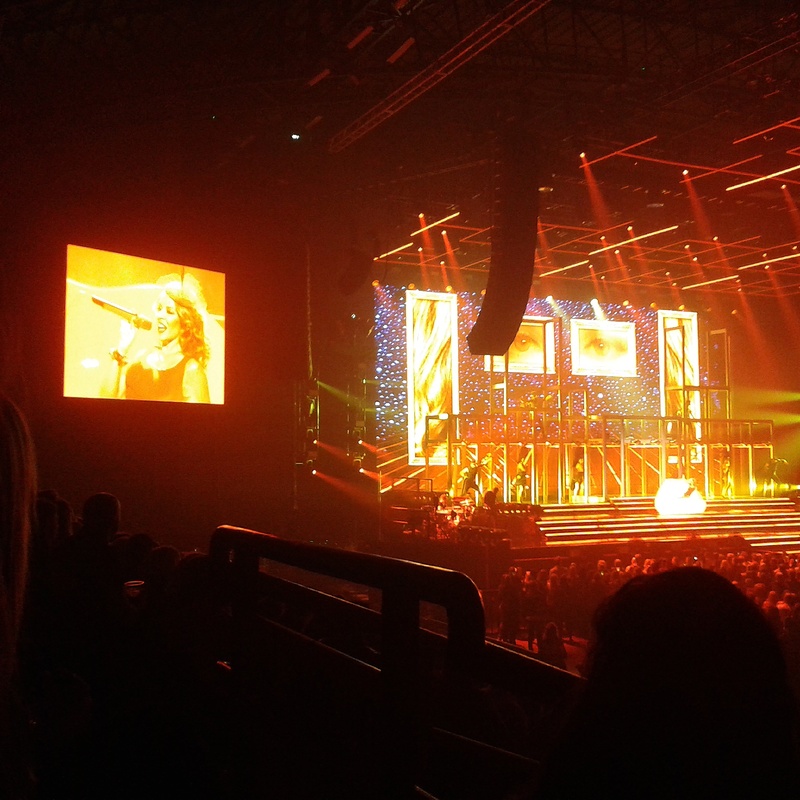 Have a look at the photo from Block 100 Row F seat 12. 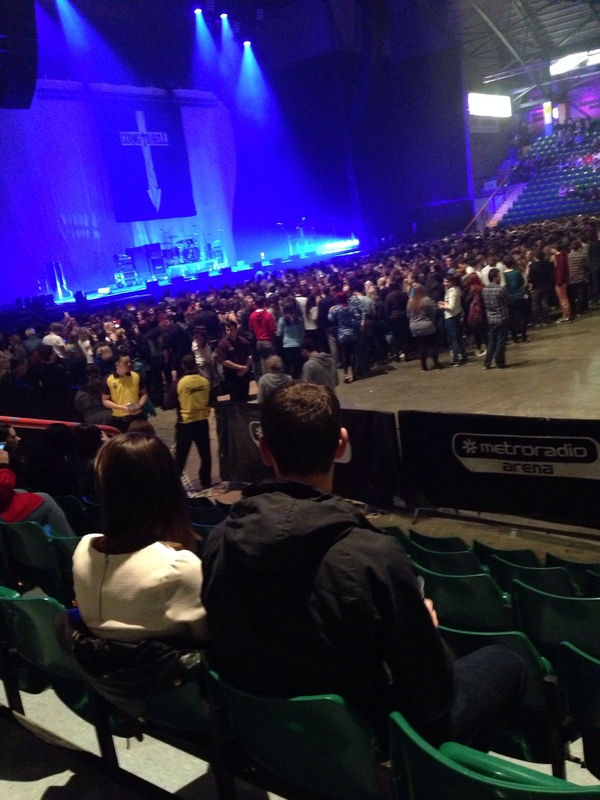 That’s almost the exact same position on the opposite side of the stage to where you’ll be. On reflection even the very last few seats probably aren’t too bad but think that seats in the mid 430s will actually be fine and don’t forget that it’s great to be so near the front and so close to the stage. Our main point was regarding screens which is not so important anyway if you’re close enough and your angle is ok! Hi, I’ve bought 6 tickets for us to come down from edinburgh to see one direction. The seats are BK F Row C seats 48-53. Will we be able to see anything at all or have to rely on the big screens? 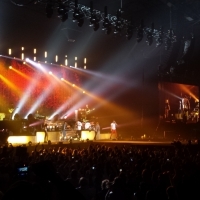 Hey Rebecca – the lads will be a little far from that position but another fan saw McBusted from Block E and told us she still had a great time and that the big screens were great from there. Also, 1D will have a catwalk with a small B-stage at the end of it and this will be located between Blocks C and D so they’ll be pretty close when they are there at least! Have a great time! for 1D I’m in block E for floor seats, am I actually going to be able to see anything? 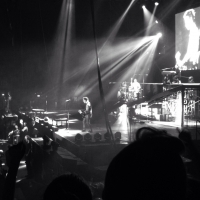 Hi Beth – the lads will be a little far from that position but another fan saw McBusted from that position and told us she still had a great time and that the big screens were great from there. Also, 1D will have a catwalk with a small B-stage at the end of it and this will be located between Blocks C and D so they’ll be pretty close when they are there at least! Have a great time! Hi we have managed to get seated tickets to take our 8 year old to the one direction concert. Does seated mean that everyone has to remain in their seats or is it likely that people in front will stand and is this likely to effect us being able to see the concert , many thanks. 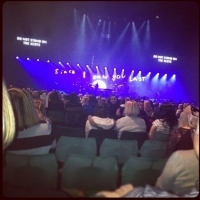 Hi Lyndsey, for show-specific advice you’d need to contact the venue directly but in our experience it’s unlikely that people will be forced to remain seated. If you are in a flat seating area then, yes, this could cause a bit of an issue for you. If you are seated in a tiered area it shouldn’t be too much of a problem. My dad has booked tickets for me and my daughter who will be 8 to see one direction we are in floor seats block b seats 1 and 2? Will view be good? is there an age limit on floor seats as there is at sol? Will my daughter get squished? Hi Naomi – think it’s 8 per person / per card! 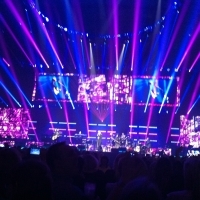 X Factor Live Tour. Block 215 Row N Seats 358-361 just wondered if these are good seats?! Thank you. Hey Justine, you’ll be a few seats in from the aisle with Block 215 so that’s good as it’s closer to the stage. Pretty decent all in all, have a great night and don’t forget to come back and upload a photo! Hi Louise – we’d suggest double checking with the venue if the ticket actually says that on it. If the view is not restricted/too restricted, we’d stick with 107 over 213. 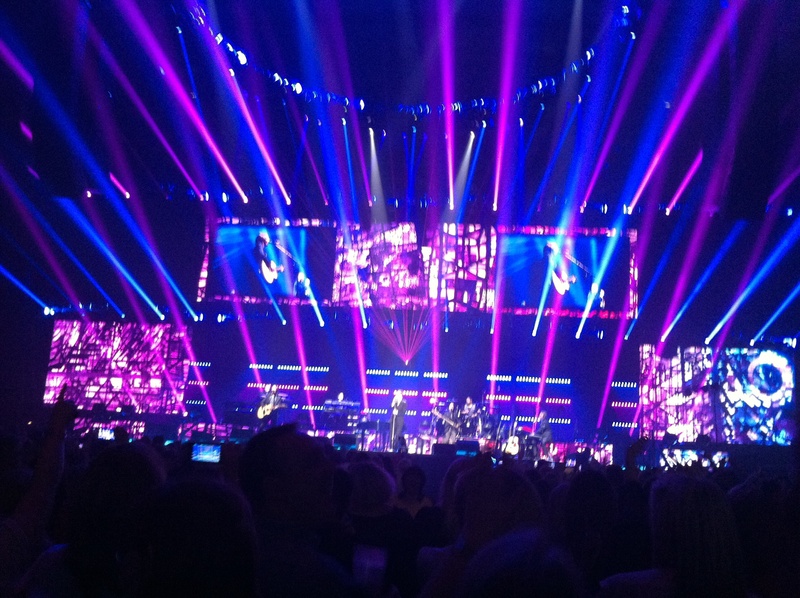 I am sitting in Block 210, row P, seats 251-250 for Take That. Are these decent seats? 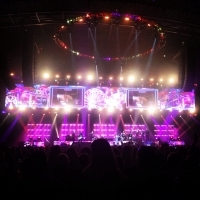 Hi Kay while they’re at the rear of the venue and high(ish) (shouldn’t be vertigo-inducing in Row P) it’s a great central position with a nice view of the complete width of the stage as well as any screens/effects at the rear of the stage (i.e. behind the performers) as well as both side-screens so all in all yes, you should be fairly happy with those Would be great if you could come back and upload a photo after the show! If you have any from past gigs in the meantime that would be great too. Have fun! Would like to know why these seats are restricted view? I have booked tickets for one direction and are located in block 113 rows 414 416. Are these good viewing seats? 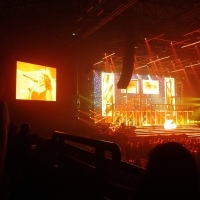 Hey Emma – Block 113 offers a great view You’re seats will likely be on the end of the row nearest to the stage There are two shots from Block 113 in our gallery which should give you a good idea of the view you’ll have. 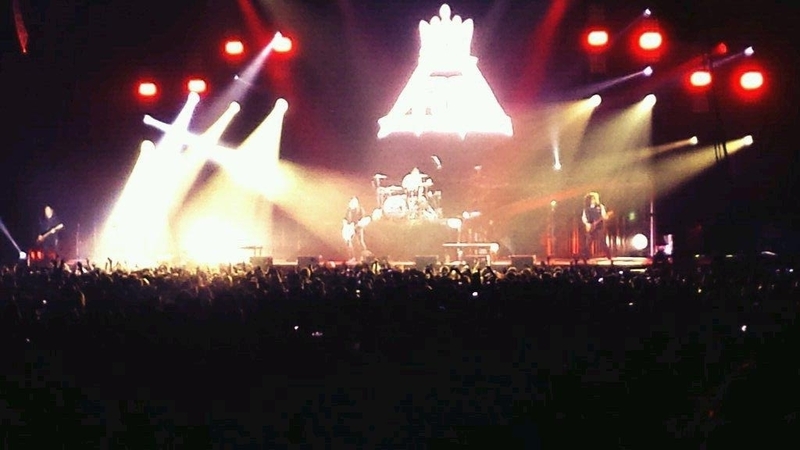 Enjoy the show and be sure to come back and upload a pic! When are you going?